When I was a kid, everyone knew a family who was the victim of one of these monsters. A parent whose child died of whooping cough. A neighbor whose children had the measles. And, worst of all, someone whose child was paralyzed, and in an "iron lung" battling for his or her young life due to having been infected with polio. The word “polio” struck fear into the hearts of parents and children alike. On every school yard you could see children who limped on withered legs from a battle with polio – and these were the lucky ones – they survived. In 1952, the year I was born, there were 60,000 cases of polio, and 3,000 deaths. Why? Because of the mistaken impression – unsupported by the evidence but spreading like wildfire throughout the internet – that these vaccines actually cause children to contract the diseases, and that they create other problems, such as autism. 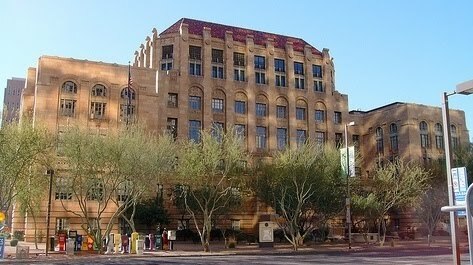 In a January 4, 2012 editorial, the Arizona Republic newspaper points out that increasing numbers of parents are obtaining “personal belief exemptions" to Arizona’s vaccine requirement for children. In fact, the use of this exemption has more than doubled during the past decade. As a result, "vaccine-preventable disease" is also on the rise. We have been vaccinating our children, in this country, for decades. Vaccinations are proven to be safe and effective. But they can only remain effective if enough children are vaccinated to create a “herd immunity,” thereby preventing the diseases from spreading. By allowing themselves to be frightened away from vaccinations by unsupported “evidence” on internet sites that lack credibility, today's parents are opening the door and allowing these killers of children – polio, whooping cough, measles, mumps, and other dangerous diseases – to regain a foothold and threaten the next generation.